Yes it is devastating to hear the doctors tell you that your child has a syndrome, a disease, an illness, but, believe it or not, for some it comes as a relief after a long journey where not knowing has been far harder. A diagnosis, especially for parents who were unaware that there was a problem, can change a family's hopes, expectations and goals in an instant. With a simple word, parents become part of a community of people who have had the same conversation with their child's doctor. A diagnosis makes you have a connection, it gives you a reference point, a place to start. You get handed a name of a 'thing' to fight, hell if nothing else at least it gives you a neat summary to stick on the endless forms you have to fill in. A diagnosis gives you something to say when people ask what's wrong with your child. In many ways the lucky ones are the ones who have to sit through the nightmare of having someone confirm that there definitely is something wrong with your perfect child. You may have lost your escape into denial, but you have been handed the details of your enemy. Moreover, in some cases you even get to know strategies to overcome it, likely places it will try and attack, and drugs that might help you overthrow it, or at least contain it a little. 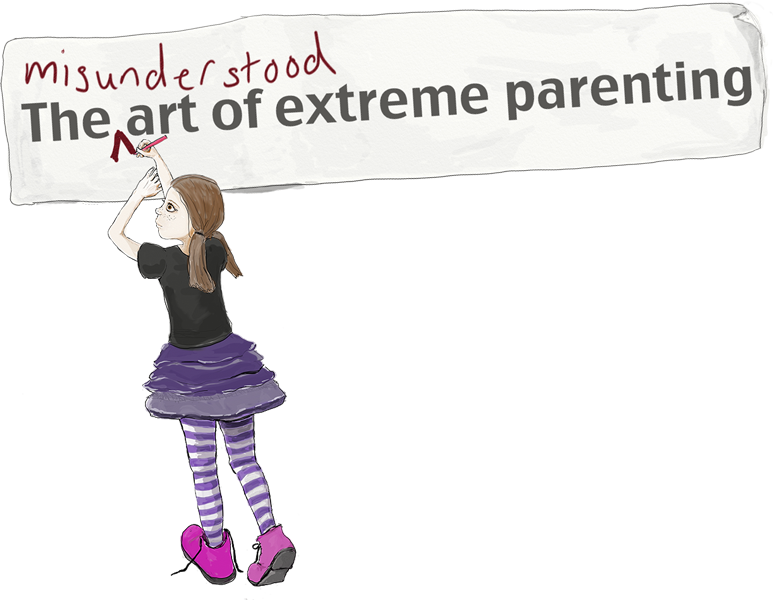 You can find other parents who you can relate to, sometimes there are dedicated charities, leaflets, information and support, all because you know what journey you are taking. You get to learn from other people. You get to connect. Imagine if you were facing your battle blindfolded. Your child being hurt, upset and their life in danger and nowhere to turn for help. 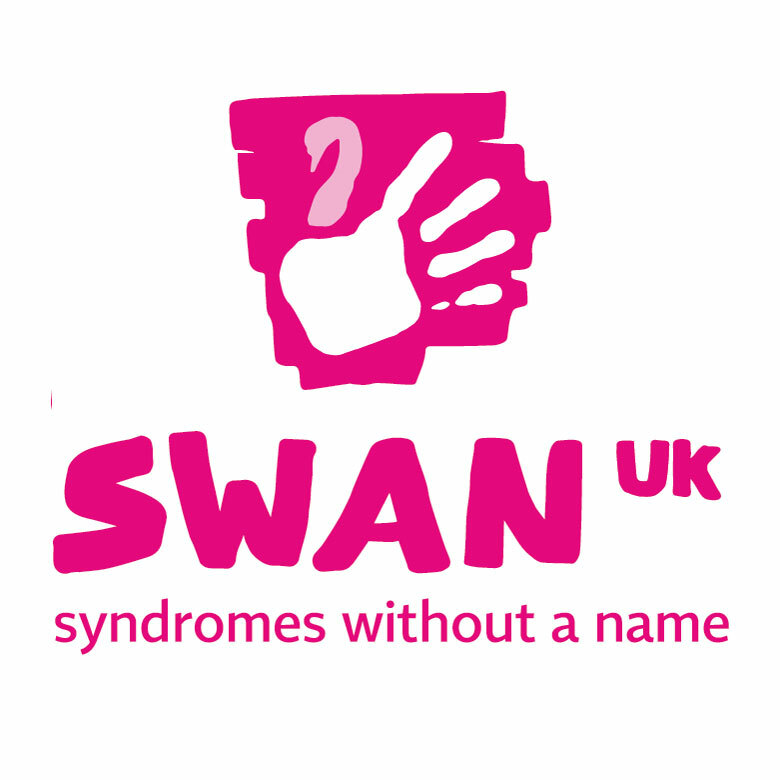 According to Contact a Family, in the UK there is no current support group for undiagnosed children, I discovered one called SWAN (Syndromes Without A Name), but it was a difficult find, and although supported from the looks of it, there are dust balls rolling through the forums. Where is the database though? Where is the ability to use the amazing power of the internet to connect people, to allow parents to connect to other parents with children facing similar medical problems but no handy diagnosis to search under? The ability to see similarities and differences, to try and see links and learn what different doctors in different institutions are doing? It just does not exist. The search that prompted this was a letter that came through the door a few days ago. 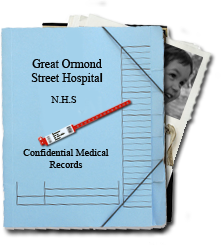 It leads on from the appointment I had in Great Ormond Street with the Neuromuscular consultant. I'm not sure why I was so shocked when I initially speed read the letter. There was pages of alien terms that were being used about my son. I let them wash over me, and it was only later, when pressed by Roger, that I actually took to Google and looked them up. Inclinations of meanings that I could hide behind the ambiguity of suddenly fell away and I realised that we had not just added a new consultant to the list, we'd added a whole new list of issues. It scared me, another lot of unknowns to add to the already overwhelming list. I don't like fighting in the dark, it leaves me flailing ungracefully. Whoops- blinking ipad!! And continuing…. And doesn’t affect her ability to do anything. Hoping that someone somwhere has an answer. Compared to what Dominic goes through on a daily basis what Freya has is minor in comparison. She was diagnosed with type 1 diabetes in March. Steep learning curve. It does bring home though how much thought you have to put into everything. Like her end of term show which coincides with her mealtime. I now need to work with her teacher how to get her fed and injected during the show – too early to feed her beforehand and way too late after! Anyway, the blog is fantastically well written. Hi Renata, I will pass the link around. The earlier part of your post reminded me of the day I was diagnosed, the moment when the doctor said those words and the mixed feelings that I had something that couldn't just been cured or that wouldn't go away tomorrow but at the same time the sheer relief that i finally had a name, i knew what it was, there were other people and when people asked what was wrong instead of wondering what to reply with i could actually say something. I read your page about Pica and that no other kids at the hospital without learning disabilities having it. I had a friend (who wasn't diagnosed with it) who had a "thing" for sponge (bath sponge especially), she would buy tons of bath sponges and completely eat them, in the end she rationed herself to one sponge every couple of days and as a child stole the big foam packaging from a delivery box and kept it ontop of her walldrobe so her parents wouldn’t know she was slowly eating it until she finished the whole thing. She didn’t have any learning disability and didn’t know why she did it, she would just say she likes eating sponge? Anyway, as I said i will pass the link around. Your site is great, I can't believe you built it from scratch and didn't know how to do it when you started. When you have some "free" time eventually you could do professional writing or webdesign!! That’s fascinating about your friend. I wonder if she still does it? It would be a safe bet to say my friend still does it, she was at the age of 25. Although I used to argue with her (I ended up a sort of mum to her somehow) about if not stopping to reduce down but did give in on her 21st birthday by icing a bath sponge, decorating it with silver balls and saying instead of having a Victoria sponge, here’s a vikki sponge! She had a stressful life and instead of turning to wine or chocolate (although she did sometimes eat choc) she would turn to sponge and if she did have a good day she would celebrate with sponge. Her docs were mist confused what the pink ‘bits’ in her stomach were when she had an endoscopy! We too have no diagnosis for our little man, just a list of 'symptoms' none of which fit any 'syndrome' or 'disease'. Our little man is nearly 2 and a half, and the size of an 8 month old. The question 'was he premature' drives me insane. Like that's the only reason a child can possible be small!? We've spent months, and infact years, between GOSH and our local hospital trying to find answers, of which we still have none, and I'm sure another few stays at GOSH for more testing. I too spend hours sometimes looking into the dark, damp, dusty corners of the internet, looking for answers, somewhere there has to be an answer surely. We've considered hopping over the pond to America to find answers. It doesn't usually bother me, but then some days, when nothing makes any sense, you can't help but wonder. If you knew what you were fighting, what to look for, what to keep an eye on, surely they'd have a better quality of life. When faced with the question when we had an NG tube 'oh does he have cancer' a very small part of me wanted to scream 'I wish'. Does that sound bad!? We don't know from one day to the next what's in store for Rowan, and we now focus on bringing out his personality, his HUGE personality. A diagnosis would never change who our son is, he is who is, because of the things he faces. But a clue, a little hint sometimes, would be nice. A world without a diagnosis, is not the same as a world with one. You can't 'grieve' like a lot of people do when they get a diagnosis, your stuck in a yoyo world! Glad we're not on our own!! Claire, so lovely to ‘meet’ you! If you haven’t already check out Special Kids in the UK there are a lot of GOSH mums on there with undiagnosed children. 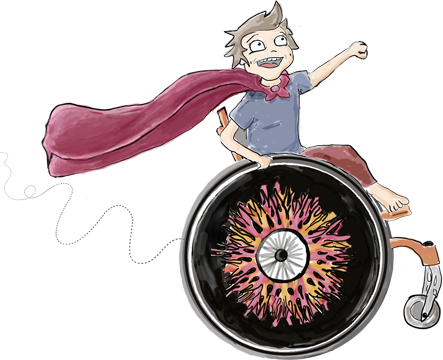 There is also SWAN (Syndromes without a name) which isn’t particularly helpful at the moment, but genetic alliance is doing their best to get it going, they also have a blog. I’m very interested to know how you came across my blog, and of course delighted that you did!